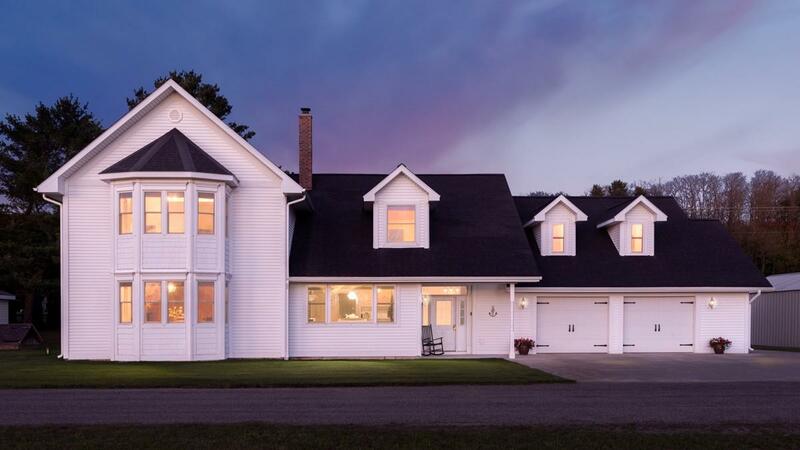 PICTURE YOURSELF HERE You'll appreciate the space to spread out in this 4 bedroom, 3.5 bath, low maintenance, updated home with frontage on Otsego Lake in Gaylord. Enjoy the gourmet kitchen with beautiful pine cabinetry, granite countertops, Viking range & dishwasher; large living room with gas fireplace; gorgeous master suite with whirlpool tub and separate shower, gas fireplace, custom built-ins; classic dining room currently used as den; upstairs family/media room with wet bar and separate entrance from garage; fabulous laundry room with storage and walk-in pantry; plus enjoy outdoor shower, beautiful yard, new windows throughout with composite trim and paved driveway. Just a quick walk around the corner to 20' of frontage on the lake where you can put your dock & boat. $514,900.